Yet Another “Attack” On Islam… Or Is It Just Another Excuse To Hate The Great Satan? So far there’s no news regarding the identity of the U.S. soldier who went house to house killing Afghan civilians over the weekend… nor do we know his motives, as if that would make a whole ton of difference to the Afghan people shaken by this tragic event anyway. No question, though, it’s a tragic event brought about by tragic events. It’s an embarrassment to the U.S. military at a time when our country is trying desparately to foster goodwill to a sensitively religious people. But.. having given that consoling preamble, it doesn’t take a rocket surgeon to imagine what’s coming next.. and the hyprocracy of it all just to promote hate to Americans all over the world. Pres. 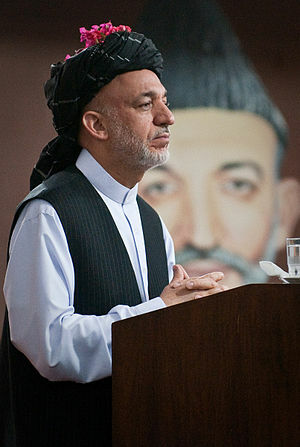 Karzai is not a popular guy in America these days. On one end you have the Taliban who just love these episodes of “Americans Gone Wild” (“sick-minded American savages”, was one Taliban quote… as if what they have done over the years is acceptable) to make situations political and gain support for their extremist cause. Then you have the Afghan government… President Karzai calling the act “unforgiveable”, and the parliament calling for a public trial. Now the event is all over the news, making the social media rounds around the globe at the speed of light. Those damned Americans… again. Not my viewpoint, but it seems that's what they want to drive us to believe just to look bad to everyone else. Again… where was all this outcry to exact revenge at the 40+ deaths attributed to the last event.. the accidental Quran burning incident? Not all of those deaths were Americans… and not all those deaths were just military or just adult male civilians. Where is the outrage for all the suicide bombers who decide to kill others in the name of Islam? In fact, where is the outcry from the apparent “conservative” and peaceful Islamic world about any violence perpetrated by their fellow followers who are labeled “extremists”? 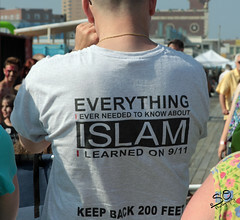 I dunno.. maybe it’s just me getting tired of all the Muslim-pandering we seem to do because us Americans are so afraid of what they might do to us in our shopping malls or while we are touring the Great Pyramids. This soldier, a combat staff sergeant (not some cook or water purification specialist, or some other support member) who reportedly has served three tours in Iraq and this one in Afghanistan, and has a wife and a couple kids, is yet unidentified. For some reason the military has already determined his actions were not the result of any mental issues (um.. you mean what he did is normal?). But if we use a tad of common sense we might venture a speculation on his motive for committing this tragedy. On the surface, might it be all that hard to draw a straight line from his doing three combat tours in Iraq to maybe him wanting to strike back directly at the people who have likely made life miserable and poltically frustrating for himself and his buddies; that bubbled over with the revenge deaths over the Quran burning? Duh. C’mon… think about this for a moment. Insignia of rank for Army Staff Sergeant. It’s very apparent that this soldier likely was what one might call an average soldier who enlisted, probably with a combination of basic patriotism and a respect for military life and what it might afford him. He married, had a couple kids… and was likely an average joe living his own idea of the American Dream. He’s had three tours of duty in Iraq.. which means he was there during some nasty stuff. He has been promoted to Staff Sergeant, which means he likely leads a squad… and I’ll wager this fellow even has had a couple citations, perhaps a medal of some sort, and maybe a purple heart. Yeah.. something inside him reached a breaking point and he went over the hill and took the lives of innocent people, including women and children. Sorry, Army, he had some mental issues when he did this. But, hey, I’m not a four star general.. so who’s really to speculate. But there’s a ton of blame to go around. To echo what I’ve said in the past… this soldier would not have done what he did had not Islamist extremists attacked the World Trade Center and the Pentagon… that forced politicans to send the military to Iraq and Afghanistan… that created the war experiences this soldier likely experienced… that led to his going off the deep end. Now, I’m not suggesting there’s an excuse for what this soldier is alleged to have done. He will need to travel through the justice system like anyone else accused of such misdeeds. But there IS cause and effect for what people do in life and if we understand this then hopefully we might be able to identify problems in people before things go bad (the military installation this soldier is from is in Washington and has had 12 suicides over the years). Regarding the Muslim outcry for revenge… this is really getting old. It’s been suggested that Sec. of State Clinton, through emissaries, might be considering collaborative government negotiations with the Taliban as we continue to think of appropriate ways to exit Afghanistan. These are the people who want us dead according to the beliefs of the Quran. Maybe it’s better if we just let all of them eat each other up as they have done for centuries. We can’t do Middle East nation-building, that’s apparent. But as long as we try we will have tragic events like this happen in the future where ever our troops go. This entry was posted in Politics & Religion, Uncategorized and tagged afghanistan, Demography of Afghanistan, iraq, Quran, Staff Sergeant, Taliban, United States, World Trade Center. Bookmark the permalink. ← Oh, Good Lord… California Toxic Chemical Initiative Attacks Coke & Pepsi; Is There No Sanctity?